Once you’ve obtained your provisional licence, and before you can conduct your practical test, you need to successfully pass your driving theory test. Conducted in two parts – multiple choice questions and hazard perception – both must be passed and we suggest revising recommended reading and attempting mock theory tests before you undertake it. 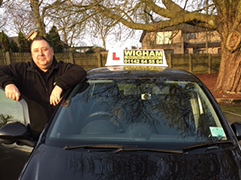 Sheffield based Wigham Driving School can help and advise you on how best to prepare for your test and can offer theory test practise for successful results. Take advantage of our expertise today and give us a call for more information! Furthermore, for theory test booking, click on the link below. To ensure you acquire the necessary knowledge, Direct Gov also provides a great online theory test resource. Here you can undergo practice driving theory tests to assess what you know and build up your understanding.